WLT583G (1969) Bedford VAM70 . Plaxton Panorama Elite C45F. Ex-Grey Green . N16 . Seen 2011 Still in the same spot in 2015 when her dog prevented an anorak getting any closer !! 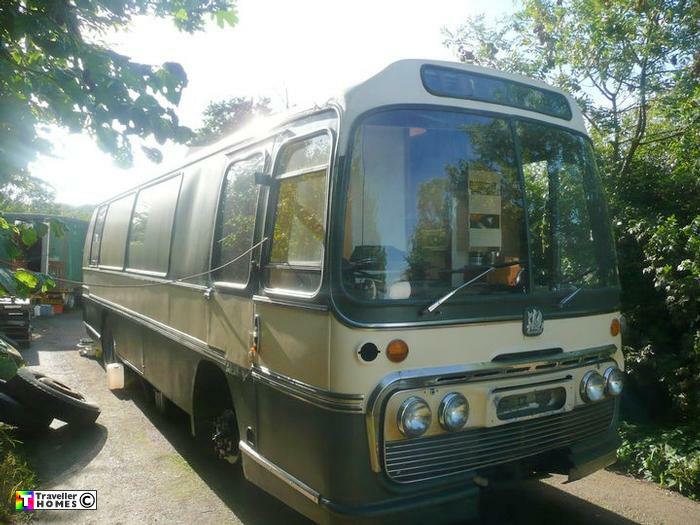 Also think its the same coach painted red & green seen in the BBC doc about a convoy refused entry to Pilton in 1994 ? . Photo = Dave Disorder .